Make your home feel a lot more furnished and complete by introducing this magnificent Black Round Kensington Townhouse Chandelier. This chandelier has a renewable eucalyptus wood that is used to produce the striking orb shaped frame. 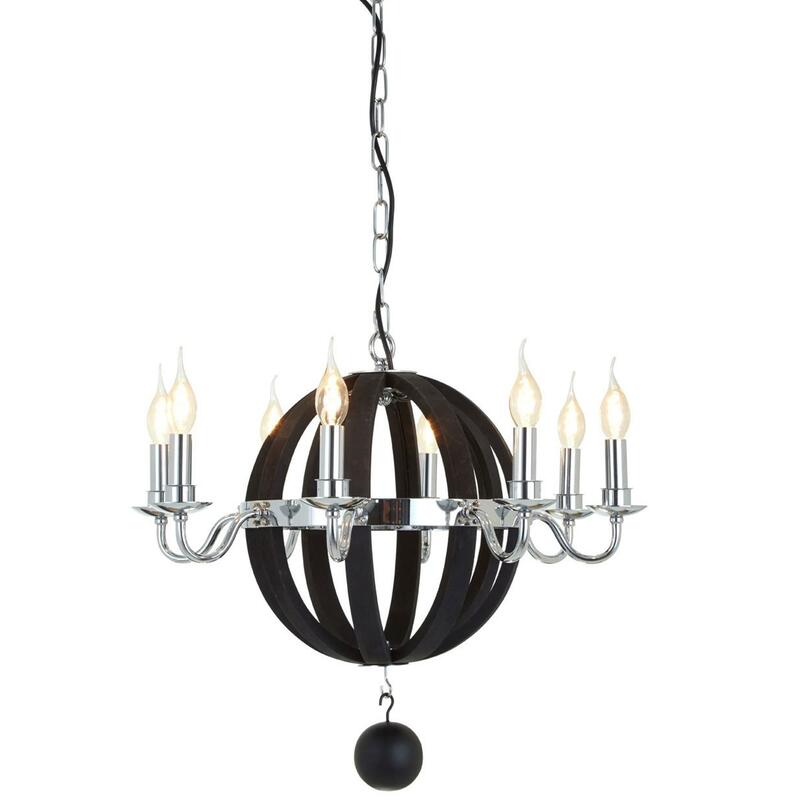 An iron fame surrounds the orb and holds up candle shaped bulbs to combine a modern and elegant style.